Despite Warsaw’s metro, tram and bus network being incredibly easy to use, even for foreigners, we’ll still admit to being a bit put off from using it at first; that is until we discovered the veritable skeleton key to unlocking public transport: the Warszawa.jakdojade.pl website and the jakdojade app for your smartphone. The former is a wonderful and free tool for advance planning, but the paid app is more practical for figuring out how to get from point A to B once you’re out in town and away from your computer. Just type in your starting address (the app does this automatically) and destination, or pin the locations on a map; select the time you want to depart or arrive, and Jakdojade magically churns out the best method for you to get there. Finished at the museum and want to head back to the hotel? This app will tell you exactly which bus or tram to get on, lead you to the correct stop and even tell you which ticket to buy. That's worth the few Euros it costs to download in our opinion. For those who prefer to feel smarter than their phones, you can also find timetables and network maps at ztm.waw.pl. 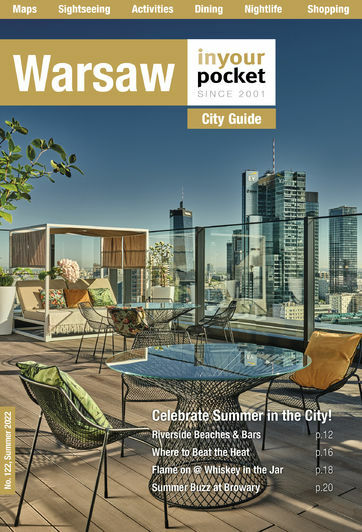 This site can also help you get from point A to point B within Warsaw, but is really invaluable when it comes to planning the journey to your next destination by bus or train. Use e-podroznik.pl to easily search bus and train connections and timetables, compare prices and even buy tickets in one of seven languages. There’s also a free mobile app (Android only). If you don't have the patience for public transport in the first place, there's a nifty app for ordering taxis in PL: iTaxi.pl. iTaxi allows you to compare rates, arrival times, car models and more, sending the cab of your choice to your location without you having to talk to any dispatchers. Best of all, the drivers register to create a profile, and are heavily vetted so there's no funny business. Download it for free from their website. Please note: you must use a registered Polish no. to sign up (prepaid or contract). The global taxi app is very much available in PL. MyTaxi allows you to compare rates, arrival times, car models, and more, sending the cab of your choice to your location (and allowing you to track its progress) without you having to talk to any dispatchers. Download it for free from their website: mytaxi.com. Not only has Uber (uber.com) arrived in Poland, but the company recently opened their European hub in Kraków. If you're already an Uber user, you'll find that the alternative taxi service - whose free mobile app offers cheap one-tap, no cash, no tip rides from local drivers - has good coverage across Warsaw and all of Poland, however there are some drawbacks. Specifically, Uber drivers don't have the same permissions as regular cabbies and may not be able to take you as close to your destination, or get you there as directly; such is the trade-off for slightly cheaper rates.